SADBLOG- The BUZZ: E-Books Get A Boost! Exciting new opportunities! E-Books Get A Boost! Exciting new opportunities! The Windsor-Essex Catholic District School Board was in the news in Saturday's Windsor Star and other local media Monday when they discussed their plans to use electronic textbooks as way to support student learning with technology. St.Christopher Catholic Grade School was the site selected to demonstrate the new iBooks 2 app among others. 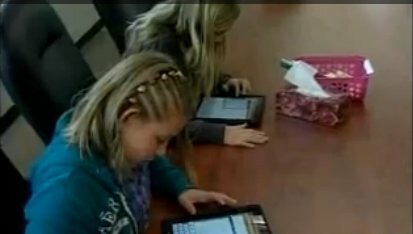 Grade 6 students were working in the school's 21st Century Learning Environment and helped demonstrate how they use iPads in there school. There are many pilot projects like this one all over the board with new ones starting all the time. These new E-Books offer improved learning opportunities by bundling interactive components as well as text. 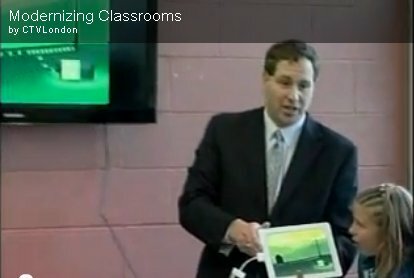 Students can interact with E-Books through audio, video, and physical actions such as moving the ipad in different directions or even blowing into it to make wind. Coupled with the board's WiFi installations across the board these opportunities and projects have become a reality.